I have stopped playing all Pokemon games since Pokemon Sun/Moon, getting tired of everything Pokemon. "It's important to have the younger generation at Game Freak take over." Pokemon: Let’s Go, Pikachu! and Pokemon: Let’s Go, Eevee! will likely be the last main Pokemon RPGs Game Freak’s Junichi Masuda works on as director, Masuda said in a newly published interview with Pokemon.com. Pokemon.com: It’s been five years since you last served as director—on Pokemon X and Pokemon Y. Why were these the right games for you to return to that role? 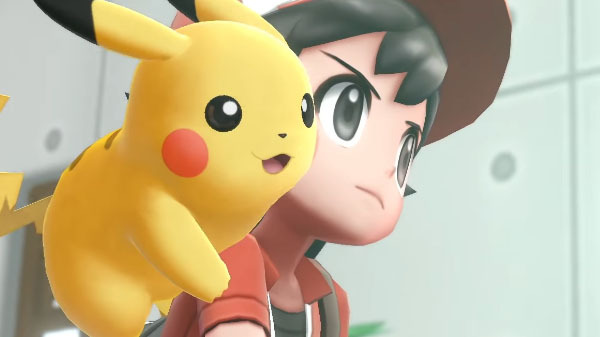 Masuda: “I was the one who worked on the base game concept document for Pokemon GO, and even in that original concept, I had the idea of introducing new Pokemon through the mobile game. I wanted to realize that goal by creating games that could connect with Pokemon GO and feel somewhat similar to it without feeling like we were copying it. Given my involvement in Pokemon GO‘s development, I felt that I was probably the best person to direct these games. “It was also interesting to work with Nintendo Switch. There’s a lot of technology packed into the hardware that we were all trying to discover at Game Freak. For example, developing the Poke Ball Plus and working with Bluetooth to facilitate the connection with Pokemon GO were both very interesting things that I had a chance to work on as the director this time. Masuda also worked as a composer and producer on several other Pokemon titles. More information about his past work is available on Wikipedia. I stopped playing them after Gold and Silver, only got sun and moon cause kids in my family plays them and they wanted me to play too...……. mostly so I could do all the work and get them all the hard pokemon. lol noobs. I have this preordered, but I am likely going to cancel. This one is just not what I am looking for in a game at the moment. Seems rather bare bones.